In need of emergency windscreen replacement or repair in Rockhampton? 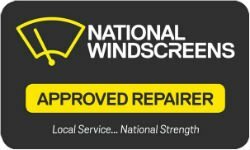 National Windscreens is proud to offer convenient mobile car window services when you need them in Rockhampton and surrounding areas such as Allenstown, West Rockhampton, Wandal and Berserker. Whether you need windscreen crack repair or car side window replacement, National Windscreens is the trusted choice for Rockhampton locals. Whether you need windshield repair, windscreen replacement or car window tinting, National Windscreens can provide a mobile service that meets all your needs. For prompt assistance in Rockhampton and the surrounding areas of Allenstown, West Rockhampton, Wandal and Berserker, contact us today.